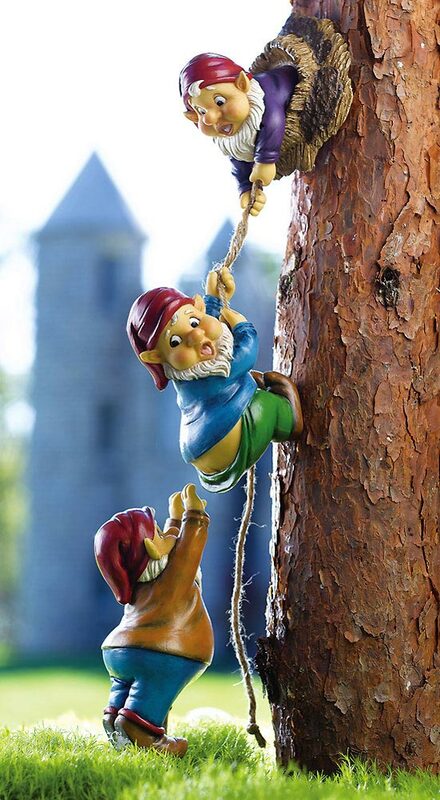 Climbing Gnomes: Create a sensation in your yard with this little trio of characters hangin’ around. Hang them on a tree trunk, porch post, or side of a fence. Their adorably astonished faces will be the focal point of any patio or garden.